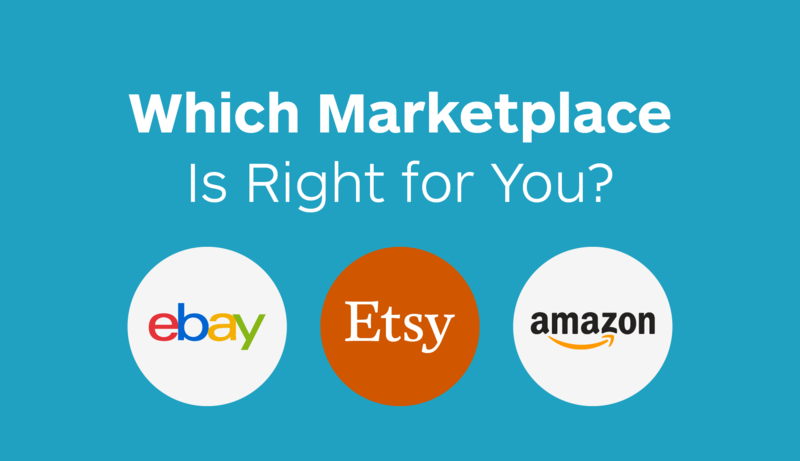 Selling on Amazon vs. eBay vs. Etsy—Which Marketplace is Right for You? If you’re looking to start selling on a marketplace, you’ll likely want to compare Amazon vs. eBay vs. Etsy to see what’s the best fit for your business. The good news is that there’s never been a better time to start selling on a marketplace. A new survey by Feedvisor revealed that 19 percent of Amazon merchants brought in more than $1 million in sales this year—a nine percent increase from last year. However, you will want to proceed with caution, since tying up all of your revenue in one platform can be scary if you get kicked off, start losing revenue, or face new competition on the site. In fact, the biggest concern among Amazon sellers this year was competition from Amazon, with 38 percent of respondents citing it as their No. 1 worry. To alleviate these concerns, we recommend diversifying your e-commerce platforms—no matter which marketplace you sell on. If you already sell on a marketplace, consider adding a second, expanding onto your own website, or vice versa. That way, if something unexpected happens, you still have other streams of revenue to tap. It’s no wonder that 80 percent of Amazon merchants also sell their goods on other channels. Before you add a marketplace to your arsenal, let’s compare what it’s like selling on Amazon vs. eBay vs. Etsy. Here’s a breakdown of what to expect on each site. In 2016, Amazon had 310 million customers, and that number has continued to grow. In April 2018, Jeff Bezos announced Amazon Prime has more than 100 million subscribers. Selling on Amazon is a great way to get your product in front of consumers. Keep in mind that competition on Amazon marketplace is stiff. Not only will you be competing against other sellers, you’ll also be competing against Amazon products. You can either sell on Amazon as a standalone merchant or through its Fulfillment by Amazon program. Fulfillment by Amazon requires that you send your inventory to an Amazon warehouse. This means you won’t have to worry about housing inventory or fulfilling orders, but you also won’t get to have complete control over the packaging and shipping experience to ensure a positive post-purchase experience. Amazon might also be a good option for you if your products match some of their popular categories. 18 percent of Amazon sellers offer products in the home and kitchen category, followed by 9 percent of sellers each in the healthcare and clothing categories. Before you sell on Amazon, you’ll want to look closely at its fees. You’ll usually pay a monthly fee, along with per item or referral fees. These can vary by category, so make sure to do research for the products you wish to sell. eBay is well-known for its auctions of antique and unique products, so it may come as a surprise that more than 80 percent of the products sold on the site are new. It also has a massive audience: 171 million active buyers worldwide. eBay continues to be a great marketplace for business owners with interesting, niche products. And if you aren’t sure the value of your product, you can take advantage of the auctions to see how much your buyers are willing to spend. Just make sure to start the bidding price at a number you feel comfortable with; otherwise, you might be forced to sell for cheaper than you would have liked. As you determine if eBay is the right fit for your business, consider some of the popular items sold on eBay. In the U.S., a sports trading card is purchased every two seconds on the site. A TV, video, or home audio item is purchased every three seconds. Smartphones and watches are each purchased every five seconds. eBay also charges an insertion fee and a final value fee. The fees do vary based on the item’s price, format, and category, so make sure you read the eBay policies closely. Etsy is great for selling handmade, craft items. As of 2017, Etsy had 33.4 million customers, so it’s ideal for getting your items in front of a larger audience than you would if you started a website from scratch. Some popular items sold on Etsy include jewelry, home crafts, clothing, and baby items. Etsy’s fees are pretty straightforward. It costs $0.20 to publish a listing to the marketplace. A listing lasts for four months or until the item is sold. Once an item sells, there is a 3.5% transaction fee on the sale price (not including shipping costs). As you’re comparing Amazon vs. eBay vs. Etsy, it might be easy to get bogged down looking at the seller fees and audience numbers, but it’s more important to choose the site that’s right for your product. Get your product in front of the right customers, and success will follow. 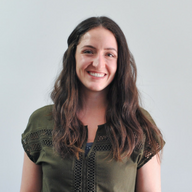 For more tips for online sellers, you might also like to check out our take on the “Try Before You Buy” trendor return policy examples from online retailers (and Shippo customers).